GoXtra News: Auditions for a Selection of Plays! 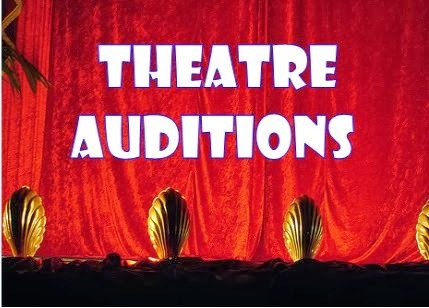 Auditions for a Selection of Plays! Franklin Players, One of the longest-running community theatre companies in the greater Johannesburg area is looking for budding actors to audition for its One Act Play Festival. This year, aspiring scriptwriters and directors came together and produced a wonderful selection of scripts. The best scripts were reviewed by Franklin Players’ Managing committee and 11 were chosen to be staged at The Roosevelt Park Recreation Centre at the end of March this year. Auditions are being held on this Sunday, January 19 from 2pm - 5pm, and on Monday, January 20, from 7:30pm - 10pm, at the Roosevelt Park Recreation Centre Hall, corner of Anton van Wouw and Preller Drives, Roosevelt Park (just off Beyers Naude Drive). The selected scripts range from dramatic to comedic pieces while some are edgy and others more family-friendly. So, there is something for everyone. In addition to the 26 female and 34 male actors to be cast in the plays, a further 4 roles may be played by actors of either gender, and they are also looking to cast a 10 - 12 year old boy. Auditions are open to anyone and Franklin Players would like to invite anyone who has ever wanted to be on stage to join in – even if they’ve never acted before. Community theatre is a great way to live out dreams of stardom in a safe, friendly environment, to build life-long friendships and to build confidence. The team is looking forward to welcoming newcomers this Sunday!